This blog post is dedicated to “getting the word out” about your Healing Hospitals. So, let’s start at the beginning. Actually, let’s start at my beginning. 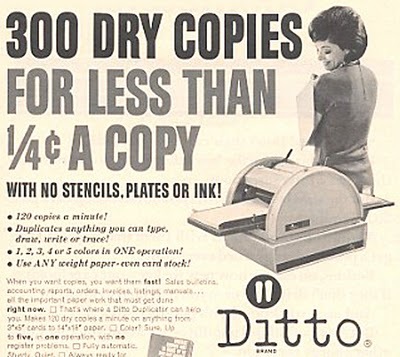 In 1969, business communication consisted largely of yellow legal tablets, Bic pens, daily reminder calendars, newsletters that were pasted-up by hand, then run off on the mimeograph or ditto machine, and an occasional public meeting for the employees. The interesting thing about today’s world, is that just the description of “how to communicate” from a business perspective would take thousands of words. Without beating all of those digital horses to death, we now have hundreds of television cable choices, Satellite radio, dozens of specialty publications, 24 hour/real-time web-based everything, and so much spin that even the late S.I. Hiyakawa would be flabbergasted. So, the question becomes, “What’s the ticket?” “How do we get the word out about our work, our facility, our philosophy?” To that end, it is important to understand that the entire vision of healing hospitals is a wholesome, caring, loving, nurturing philosophy that is profoundly newsworthy. How do you capture the hearts and minds of current patients, their families, their neighbors, and their neighbor’s neighbors? Interestingly enough, the first approach and my initial recommendation is education for your employees. Many employees have not yet made the connection between this type of unique care and publicity. Obviously, not unlike the old CEO quoted above, it is the power of “word of mouth” that can carry the day locally, but –not unlike my last CEO experience, if there is not enough population to produce growth, then you need to reach beyond the local geographic boarders. By doing so, we tripled in size over a decade of population decline. There is an old saying that “anyone who is 50 miles from home can become an expert.” For the most part, most people are not aware of your quality care, your commitment to humankind, your nurturing attitude even 30 miles away. Consequently, media is the key. What I have found is that national media can bring a halo of credibility to an organization that years of local media could never bring. Unfortunately, unless you have done something wrong or a meteor drops onto your grounds, national media is not that easy to attract. We were fortunate in that we had the Wall Street Journal, USA Today (four times), the New York Times, the Today Show, the Philadelphia Inquirer, Oncology International, Forbes, Fortune, and several stories in Reuters releases and at least three placed with the Associated Press that were picked up internationally. How did we do it you might ask? We often times did it by linking local stories to national topics. It takes creativity, persistence, and a strong desire. You need to do news releases to just about everyone. Pick topics that are timely, informative, and have a unique angle, and then work at it constantly. The other way that we promoted our organizations was through social media and Web 2.0. 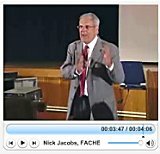 My original blog, Nick’s Blog at the time – started in 2005, now HealingHospitals.com (i.e., this blog), was the first hospital CEO blog in the world, and that brought a tremendous amount of new traffic to our organization. We also became active on You Tube, Twitter, and Facebook long before many others in (and outside) the healthcare community accepted these phenomena. Bottom line? It can be done cost-effectively with great success, and we’re here to help.